Experience the heart and soul of the "Last Frontier" by exploring Alaska highways, National Scenic Byways and less-traveled country roads. 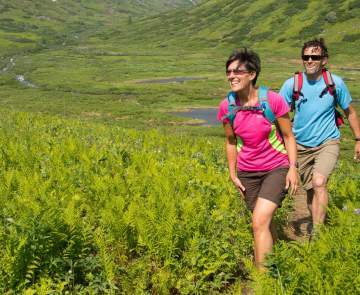 Whether planning a one-day scenic drive, weekend escape, Denali RV vacation or extended road trip, follow the directions below for an unforgettable Alaska adventure! Maps are available at many of the visitor information centers. 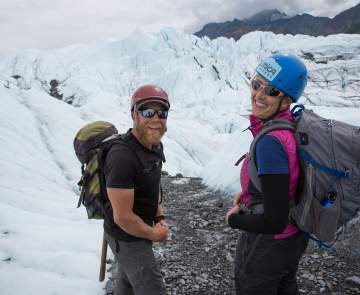 These five featured Alaska self-driving tours highlight the Mat-Su Valley&apos;s most interesting and scenic roadways, natural and cultural attractions. Wherever the road takes you, keep an eye out for Alaska wildlife. 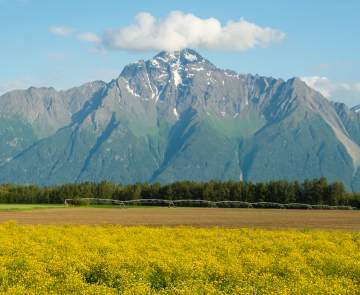 With more than two dozen RV parks, campgrounds and recreation sites in the Valley, the Mat-Su Valley is a top destination for Alaska motorhome travelers. Search member listings under "Vacation Fundamentals" for private campgrounds or view a list of public campgrounds.